Student groups searching the best location for their specific plans, but also need an affordable, comfortable, suitable accommodation while visiting area New York City. The Hotel @ Times Square. In a busy city like New York, there is a lot of planning that goes into group travel. With the countless sites, performance and food places, it is easy to forget the most important part, where to sleep. Not only does a place need to accommodate a large group but good location and amenities is a necessity. Here are 5 of our picks that can make planning less stressful. The Hotel @ Times Square is on 46th street between fifth and sixth avenue makes it feel at the heart of New York City. It’s walking distance from Central Park, Rockefeller Center, Radio City Music Hall and Madison Square Garden, saving stress about transportation. There are a total of 213 rooms on 14 floors, which can accommodate the largest of groups. Rooms’ amenities include personal safes, hair dryers, air condition or heating. The rooms also have free wifi, flat screen (with movies on demand) and blue tooth speakers that will entertain student travelers. In the morning, a complimentary continental breakfast will prepare the students before starting a day of rehearsals or site seeing. A plus is having reduced rates at Central Parking Garage. Communicate with the concierge service to learn about their easy access to JFK, La Guardia and Newark airports for distant travelers. Special pricing is offered for group reservations. The Wellington Hotel has a guest-centered mentality is what makes the travel feel the most welcomed in a place outside of their home for the past 116 years. The hotel is a great stay for choir, band or performance group because it is in the best theatrical location. Located on seventh avenue on 55th street, Carnegie Hall is a two minute walk from the Wellington, which would make it an ideal student performing venue, and Broadway is one block away as all of the Broadway theatres are walking distance. They are also located near Radio City Music Hall and the Museum of Modern Art. Within the hotel, there is a 24-hour reception desk, and a helpful concierge desk offering sightseeing tours, theatre tickets, and transportation options. The room amenities consist of a flat screen TV and on-demand movies. The Wellington has a great group travel workings, special rates and a working group coordinator for all your personal needs. Groups also receive a personal welcome upon arrival, and breakfast, lunch, and dinner prices at local restaurants Molyvos Greek restaurant and Park Café. There is also a gift shop for last minute souvenir gifts or forgotten toiletries and an ATM 24 hours. Highlighted for a great social atmosphere with a school friendly budget, HI New York City Hostel is two minutes from central park and 12 minutes from Columbia University. It can give student groups a fun social break after a long day of rehearsing or a sight seeing. The Hostel has two common room spaces and an outdoor patio, which is Manhattans largest privately owned Green Space. There is also an In-house theater and Pool Table, keeping student travelers preoccupied. There are a variety of dorm types. Rooms go 12,10, 8, 6, 4 with both all female, all male, and mixed options. A perk for hostel style traveling is that all the students can be all together, and not spread across an entire hotel floor. Each room has heating/air conditioning, and private lockers. There is a large kitchen available for use and the 24-hour desk will give information about their free daily tours and activities. 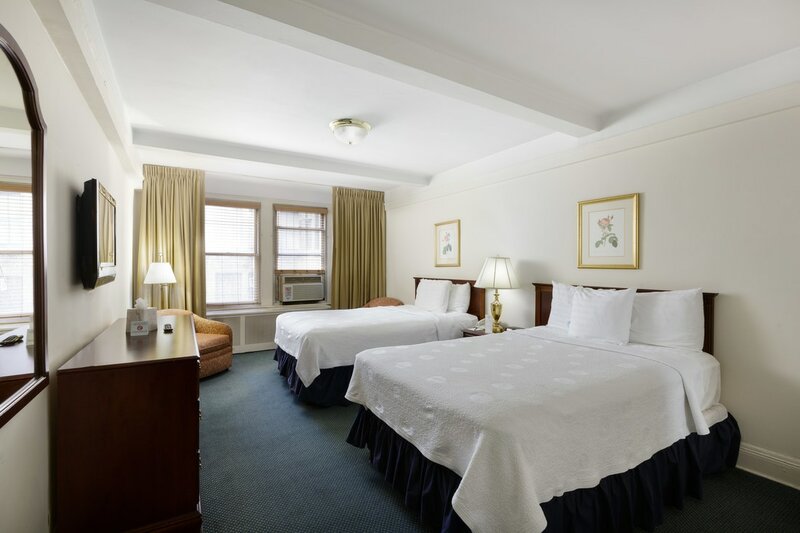 Salisbury Hotel is across from Carnegie Hall and Central Park, giving beautiful green views from central park or watching people get in line to see famous performances at Carnegie Hall. In every room and suite is Wi-Fi access, microwave, mini-refrigerator, hair dryer, couch, air conditioning, flat screen TV, desk and chair and in-room safes. A unique amenity is that one can order a meal from a local eater or nearby restaurant and have it be brought right to their room. There is discounted parking at a nearby garage that is only one block away that just needs to be validated ticket at front desk. 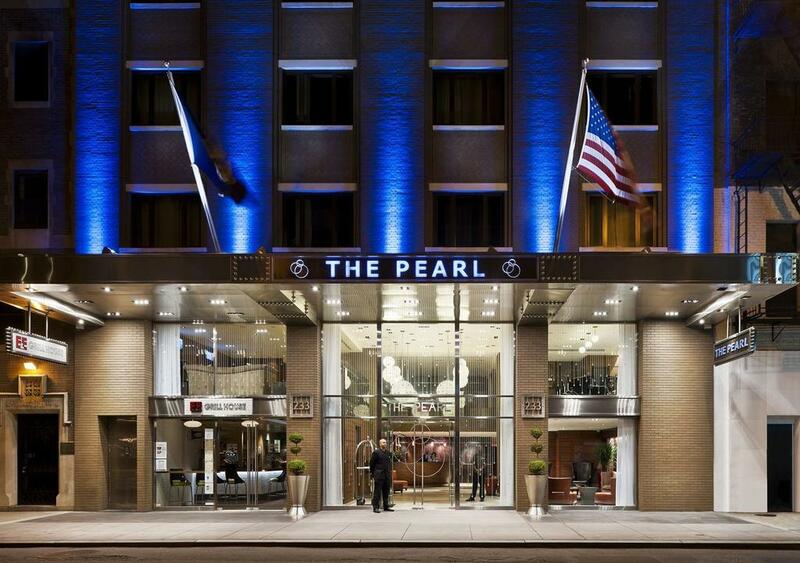 The Pearl Hotel’s name shows the sophistication of your stay. Its classy design elements makes one feel like they are high-end New York living. Ability to view the can show the lively nightlife of the theater district through an accommodated balcony. 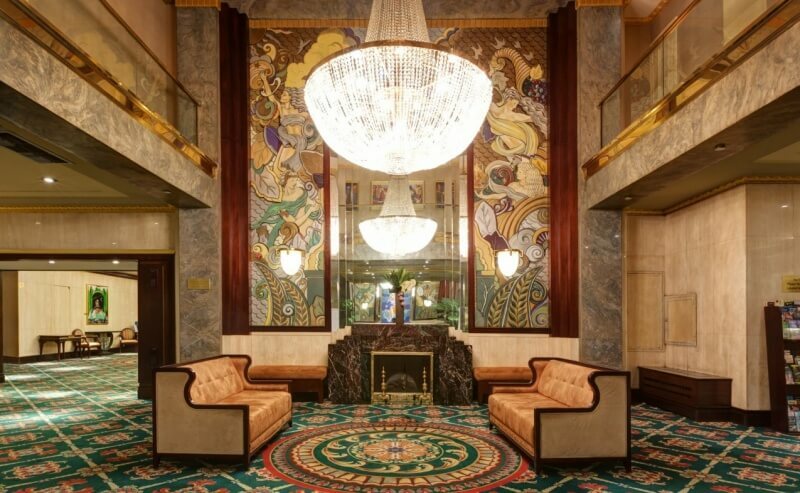 Consistently among top 20 NYC Hotels on Tripadvisor, the hotel offers Complimentary continental breakfast and complimentary wifi. There are 13 types of rooms to match to your group, including handicap accessible options. Special discounts are offered on their website.